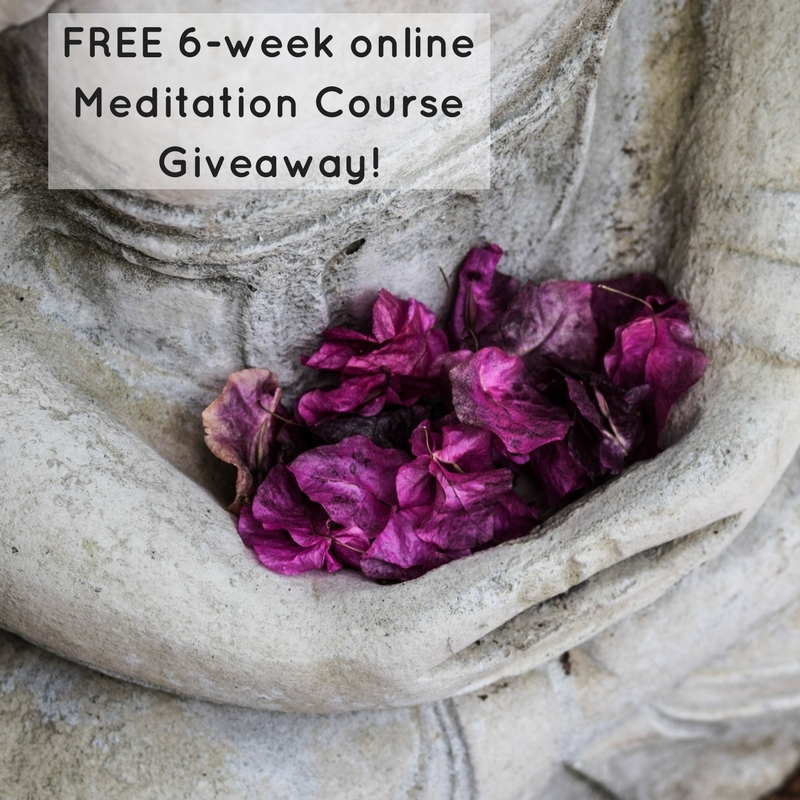 6-week Online Meditation Course Giveaway. Enter today! Have you gotten your Ohm on lately? 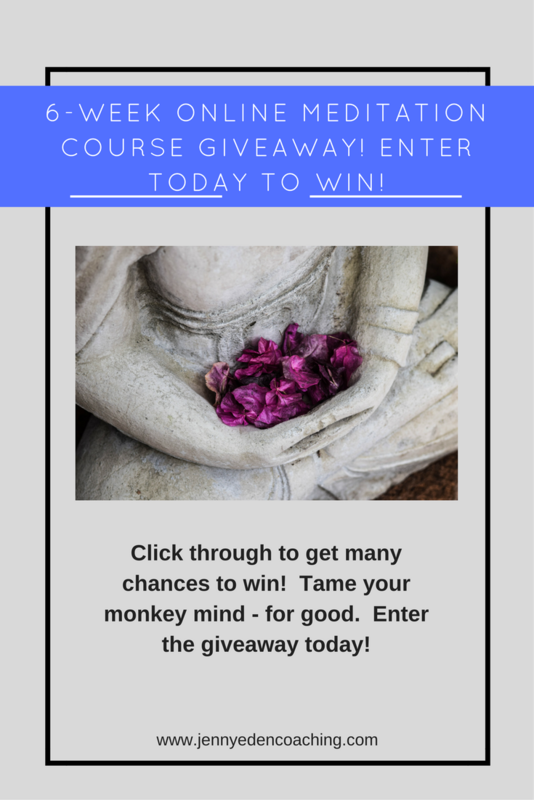 Have you been wanting to learn how to be more mindful in your life but your monkey mind just keeps you out of commission in that area? If so, you’re not alone. But, there are countless studies showing how meditation and mindfulness can aid in everything from pain management, stress management, anxiety, binge eating, emotional eating and more! And now I’m giving you an opportunity to take a deeper dive into learning this powerful tool, even if you’re a complete beginner. In fact, the course in this giveaway is specifically for beginners! You enter the giveaway and get 1 entry to win! If you share this with a friend and THEY enter to win, you will get 5 entries to win. Sweet! If you can get really brave and do a Facebook live video on your home page or on my Facebook group – Wellness Warriors (join my group first!) and tell me why you want to start learning meditation and how you think the course can help you, you get 10 more entries to win. If you share this page on a Facebook group you are in that has over 1000 people in it, you will get 15 extra entries to win. Just tag me when you share it to let me know and that’s it! This course is through Knowga. You can check them out by visiting their website here. If you win, you’ll be given log-in information to access the course immediately. You will have 90 days to complete the 6-week course which is available 24 hours online through their portal. Now go get your Ohm on! Enter today. And don’t forget to share the zen with friends and family.